Communications to the Association’s membership. Personal data is obtained from voluntary membership application forms. Personal data may include: Service Number, Rank, Name, Address, Email Address, Phone Number(s), and Particulars of Military Service as a commissioned officer in the Artillery Corps. The Club securely keeps personal data and records of all current members and only uses this information for membership and subscription purposes. Uses include: to notify members and to deal with any issues relating to Annual General Meetings, subscriptions and renewals, to supply notices, newsletters and other information relating to the Club’s objectives and activities, and to aggregate such data in respect of current and former members for statistical purposes. The Department of An Taoiseach, recommending invitations for the Annual National Commemoration Ceremony, containing the names and addresses of the Officers and Committee. The commander of a military installation in order to facilitate entry to that installation, which is hosting an activity organised by the Club. 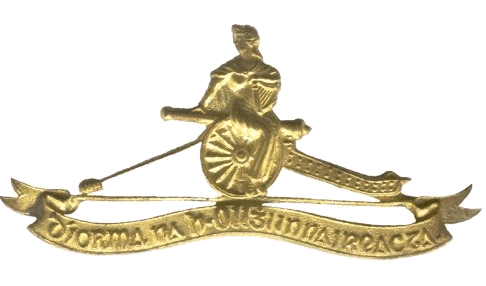 The Artillery Club securely maintains names and contact details of persons with whom it has business relationships such as Government officials and military personnel, and Veterans’ Associations, as appropriate. All personal data voluntarily provided by members to the Club will be treated with the highest standards of security and confidentiality. Obtains the personal data fairly, for the purposes as described above. Uses and discloses such data only in the circumstances necessary for the purposes for which it collects the data. Processing of personal data is by consent and the right to withdraw consent. Whether in paper files or in electronic format, the Club keeps personal data secure, to ensure that no unauthorised person has access to it. Keeps records as accurate, complete and as up-to-date as possible. Does not ask for, nor keep any personal data not required, for its purposes. Retains personal data only for as long as is necessary for the satisfactory performance of the Club’s functions. The retention period of the personnel data of elapsed and deceased members is two years. Will provide to a member, on request, particulars of his / her personal data held by the Club. The Club does not maintain personal data of individuals accessing its website. The content of the Club’s website is for general information purposes only. The posting of personal data on the website is by consent, e.g. nominal roll of former and current Officers and Committee. The Club will never attempt to identify a user of its website, or to associate a user’s technical or personal data to a particular individual. Apart from data volunteered through the Club’s website Contact Us Section, which will not be provided to third parties, the Club does not retain any personal data of visitors accessing the website. Where appropriate, individual photographs posted on the Club’s website and newsletter will have prior consent. Photographs from an official photographer, accredited by the event organiser, may be posted on the Club’s website, or in the Club’s newsletter. The Club assumes that photographs taken by accredited photographers have the prior consent of the individual present at such events. The Data Protection Officer will conduct an annual Data Protection and Privacy audit in respect of each year ending 31 December, and subsequently will be presented to the Committee at its subsequent meeting. Data Controller: The individual appointed by the Executive Committee as the Club’ Secretary. Data Protection Officer: The individual appointed by Executive Committee as the Club’s Membership Secretary.